This year the Volvo Klassiekerbeurs 2019 theme will be: Tuning & Styling. "Tuning and Styling", the VKB 2019 pays a lot of attention to adapted Volvo’s! You could think of an Amazon with 200HP, a P1800 with rebuilt bodywork, a modern chassis under an old car body. Feel free to surprise us with your suggestions. 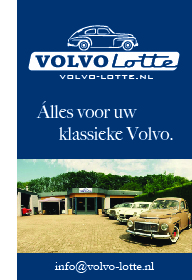 The Volvo Klassieker Beurs will be held, as in the previous years at the Autotron in Rosmalen! 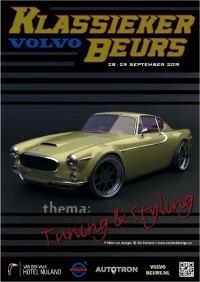 We will keep you informed via the VKM, but also via our website www.volvobeurs.nl. Even if you have photographs of a tuned and / or styled Volvo that you want to make available to the website or publication in the VKM, we would love to hear that! Put 28th and 29th of September 2019 in your agenda! As a visitor or participant you are welcome to the largest Volvo Fair in Europe. The fair is openend on saterday, september 28 from 10:00 to 17:00 and on sunday, september 29 from 10:00 to 16:00. Admission € 11.00; children up to 12 years old can enter for free. Parking for Volvo’s and Saabs for free.